AcuGraph Equine Hardware: Includes probe, cables, ground pad and processor, all specifically designed for equine use. Our durable hardware gives you the perfect mix of form and function for fast, easy exams. 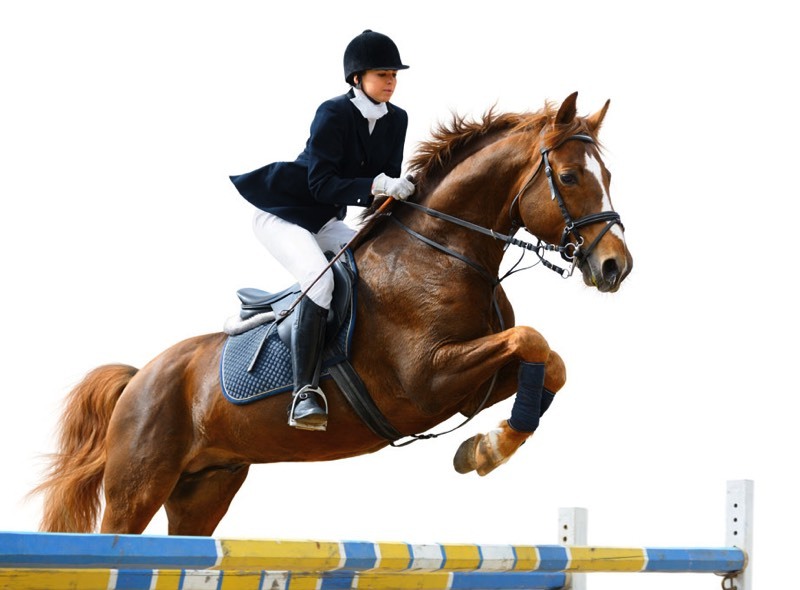 Equine-specific AcuGraph software: Our world-renowned human AcuGraph hardware has been completely re-engineered for equine patients to give you powerful information and convincing reports. Heavy-duty, barn-tough protective case: AcuGraph is made for real-world use in extreme environments. Our case will stand up to your toughest situations. Instructions and user manual: Our step-by-step guide will get you up and running quickly and easily. Video Training: To get you up to speed fast! 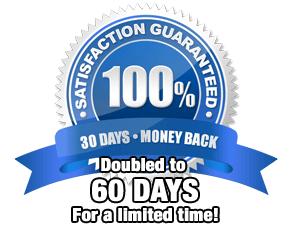 Service and Support: Your AcuGraph system comes with 90 days of free technical support and consultation. No matter your issue, we’re here to help! And you’ll get it all for just $2,795. That’s right, just $2,795. It’s the most cost-effective technology investment any equine practitioner can make. 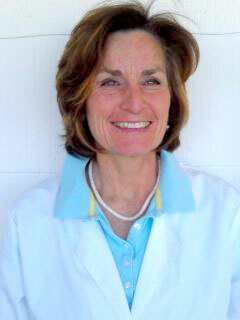 How much are a few more acupuncture referrals every week worth to your practice? AcuGraph improves your bottom line with convinced clients who complete their treatment plans and refer. 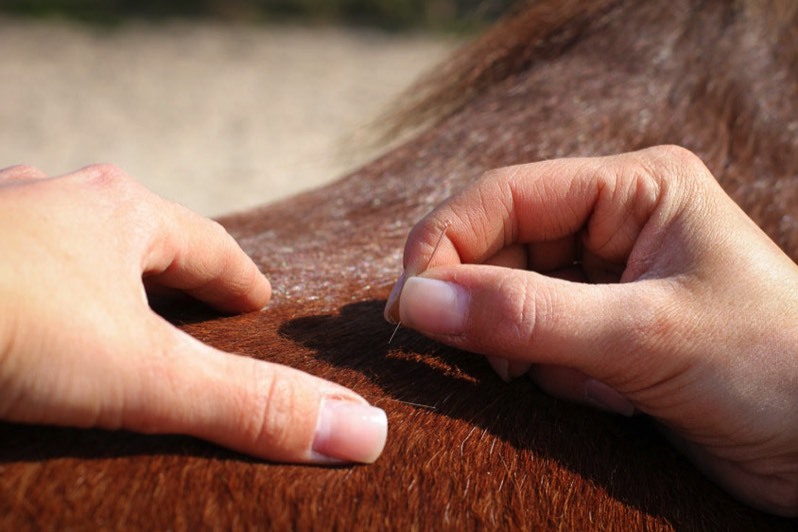 Think how much more effective—and profitable—your equine acupuncture practice will be when you have objective proof of your results and iron-clad reasons for your clients to refer. You don’t want to put this off. The longer you wait, the more you lose in business you could be enjoying now. Try it Risk Free: We’re so certain you’re going to love the power and insight of AcuGraph, that we’re offering a no-question refund if you’re not satisfied for any reason in the first 60 days. Take the system out, use it, get it dirty, see the results! We’re backing you up 100%, and you risk nothing. How to get superior equine acupuncture results, treat the right points every time, and impress your clients with solid proof of the value you provide. If it were easy, anybody could do it, right? But you’re not just anybody—you’re highly trained, capable and compassionate. But still, equine acupuncture is a challenge. Here’s the problem: You’re faced with a large animal, a tiny needle and a skeptical client. Maybe this is their first time with acupuncture. Perhaps they’ve tried everything else, and just called you because nothing else worked. You know acupuncture works, but how can you prove it? And let’s face it: it’s hard to believe such a tiny needle can have such a big impact. Your client might be calling it voodoo, despite your deep knowledge and years of training. I hate to say it, but it really doesn’t matter how much you know. What matters is what your client thinks. The only way you’ll convince your client and complete your treatment plan is by getting results, fast. And we’re not talking just about a minor improvement. Your clients want visible results they can see and experience. They want proof. Been there? Oh, I know, there’s a lot of scientific research used to validate acupuncture, and a lot of scientific curiosity about it. But in the end, nobody has nailed down the reasons WHY acupuncture works, the mechanism HOW it works, or WHICH point will do the trick in any given situation. It’s as much an art as a science, and you sometimes have to make your best educated guess. Which doesn’t help when you need to convince your client. How do you make an art into a science? Yes, it can be done! Fortunately, THERE IS a way to scientifically determine exactly where the problems are, OBJECTIVELY decide which points to treat, and PROVE your treatment worked. This amazing technology is called AcuGraph, and it’s based on technology used to get outstanding results in human acupuncture for over 60 years. This same powerful approach that has cured millions of patients is now available for Equine Acupuncture. Best of all, it’s astonishingly simple to do—because your computer does almost all the work. With AcuGraph, you’ll practice acupuncture at a whole new level. 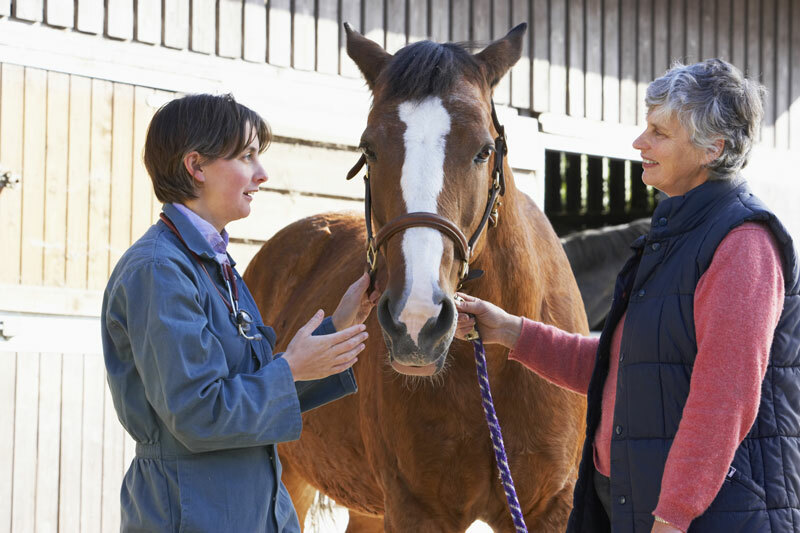 Imagine what it would be like to take on EVERY equine problem with confidence, knowing you were just a simple, 5-minute exam away from knowing EXACTLY what’s wrong and what to do about it. You would simply pop open your AcuGraph system, read the horse’s ting points, and get immediate, objective evidence of which meridians are imbalanced. You would be empowered to show clients—in real time—exactly what’s wrong, why it’s affecting their horse, and how you’re going to fix it. Then you’d treat with confidence, knowing your treatment would get the desired results. Over 60 years of research have proven AcuGraph’s effectiveness. For the last 60+ years, tens of thousands of acupuncturists have used this very same system on millions of human patients with outstanding results. Some cutting-edge equine acupuncturists were even using the human system on horses—mentally transposing the points and treatments. I know, not ideal, right? But it was all they had and it was THAT GOOD. OK, if I’m speaking highly of the AcuGraph system, it’s because I’m the guy that developed it. 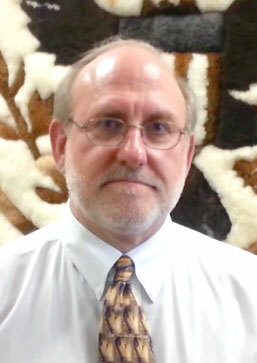 I’m Dr. Adrian Larsen, a chiropractor and acupuncturist. I developed the AcuGraph system for humans in 2003, based on proven Ryodoraku acupuncture techniques. With over 12 years and 4,000 users of our human system worldwide, we’ve developed a vast amount of expertise in meridian graphing and balancing. 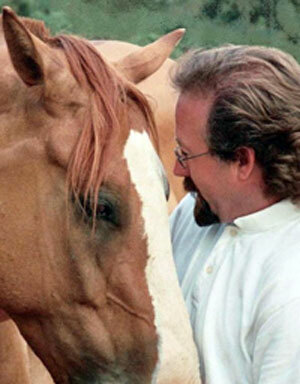 As one of the foremost experts in this type of acupuncture, I was approached many times by equine acupuncturists who literally begged me to create an equine version. It sounded intriguing, but I’ll admit, I had my doubts about whether AcuGraph could even be adapted for equine use. There were lots of questions. How do we electronically test horses? Can we find the right points? What about hair? There were questions, that is, until I tested my first horse. Well, needless to say, we saw the potential for a powerful new approach to equine acupuncture, so we partnered with several experienced vets and acupuncturists to help us test and refine the system as we adapted everything for equine use. Hardware, software, references, everything has been re-engineered and optimized for the horse. And the results are wonderful. AcuGraph helps your practice in four important ways. Seeing is believing! AcuGraph’s objective evidence gives you complete information about exam findings in a variety of graphical formats. Eight graph styles plus written information mean you’ll know exactly what’s happening in the patient’s meridians, and you’ll instantly pinpoint areas of concern. Visual evidence also gives you a common point of reference for working with trainers and owners, while documenting treatment progress. There’s nothing like a visual report to make your point. Along with a real-time snapshot of the horse’s acupuncture meridian balance, AcuGraph also provides a complete treatment library of acupuncture points, indications, needling information, and a condition atlas to show you what points to use for almost any common condition. You’ll enjoy the confidence of having all the information you need, just a click away. “The owner was quite impressed with the unit when it detected a prior injury we were not told about…about 5 weeks before it had sustained a puncture wound in the upper chest area. It came up on the graph showing extremely high readings on the lung meridian, and when I inspected the wound, it was directly on the lung meridian. AcuGraph picked it up. “AcuGraph provides insight into root causes of training and performance issues that could not be addressed/resolved by drug, nutrition, shoeing, saddle fit, etc. It shows that there are other complex systems in the body that require attention, which those other approaches cannot address. PS: AcuGraph is the only equine acupuncture system in the world that gives you the confidence of objective proof, enhances your results by giving you exact points to treat, and enhances your practice with convincing client reports. Q: What kind of computer do I need to use AcuGraph? A: Any laptop running Windows 7 or 8, or Macintosh OSX 10.7 or newer. Q: Will the system work on any horse? 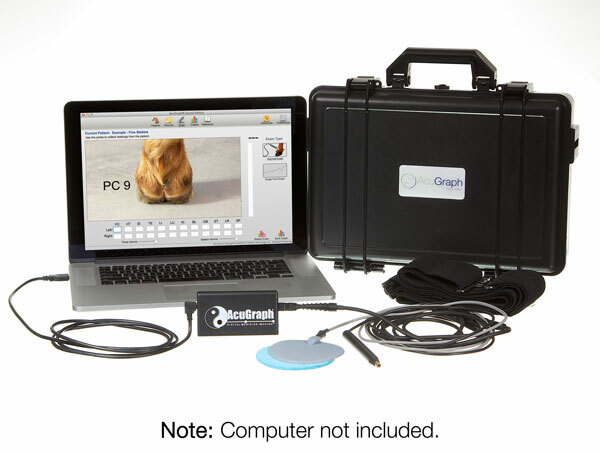 A: Yes, AcuGraph is designed for use on all Equines, as well as related species. Q: Do I have to be a Veterinarian to use AcuGraph? A: No, but you do need to have the legal right to practice equine acupuncture or acupressure. Q: Does AcuGraph provide treatment? A: No, AcuGraph recommends points to treat. You may treat the points with whatever modality you prefer, including needles, laser, electric stim, acupressure, etc. Q: Do I have to do the AcuGraph exam every time? A: No, of course not. But the more frequently you check the meridians, the more easily you can track progress and adjust your treatment plan, if required. Q: Do I have to use needles? A: No, you may use any treatment method you like. Q: Can handle this myself, or do I need an assistant? A: You can handle everything yourself with no problem. Q: How long does the exam take? A: Generally less than 5 minutes, though it’s really up to you. Work as fast or slow as you like. Q: What do I need to take with me on Farm Calls? A: Just grab your computer and the AcuGraph carry case. Everything you need is inside. Q: Are the parts of the system replaceable? A: Sure thing! If you break or wear out something outside the warranty period, you can just replace that part. A: We’re constantly developing and improving the AcuGraph software. The system will tell you when there’s an upgrade ready to install.